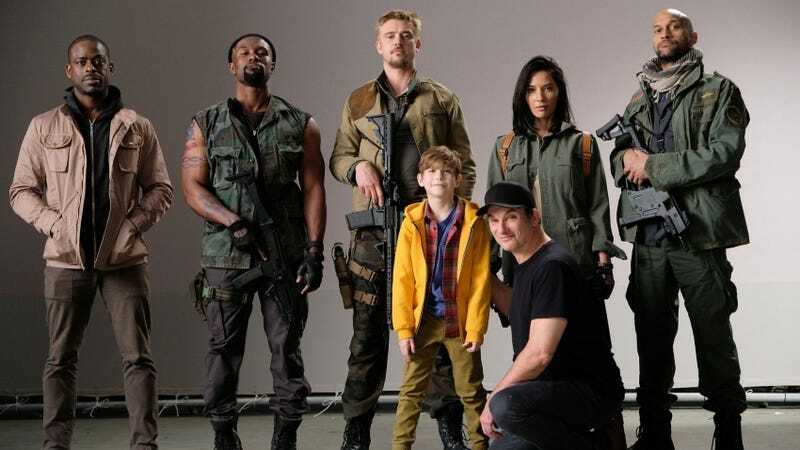 The Predator director Shane Black celebrated the first day of filming by giving us a glimpse at our plucky young killers, plus the adorable kid who might be the key to saving us all. In the meantime, revel in how cool these guys look. The cast includes Trevante Rhodes (Moonlight), Sterling K. Brown (The People v OJ Simpson), Olivia Munn (X-Men: Apocalypse), Keegan-Michael Key (Key and Peele), and Thomas Jane (The Expanse). I’m especially digging Munn and Key, who look ready to ambush the camera with their fierceness. The Predator is set to come out February 2018.